Sponsored by the American Foundry Society (AFS), CastExpo is the single largest trade show and exposition for metal casting in the Americas. CastExpo offers metal casters, suppliers, and casting buyers and designers the opportunity to connect and learn about the latest and greatest metal casting offer. This was an occasion for the team to have interesting discussions with existing and potential suppliers of purchased components to North American equipment lines. The team also met several of their existing customers, solidifying and reinforcing the relationships. 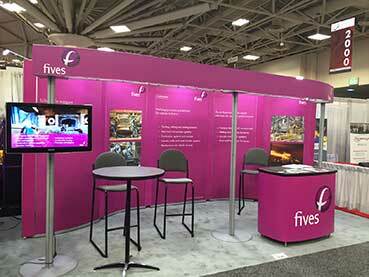 Last, few new potential customers who were not familiar with the Fives brand in North America, stopped at the booth and had a chance to get a better understanding of Fives’ offer in Combustion to help improve their process.